Drip coffee bag&envelope packaging machine_Drip coffee packing machine_Product_Shanghai Saifeng Packing Machinery Equipment Co.,Ltd._Shanghai Saifeng Packing Machinery Equipment Co.,Ltd. Coffe green tea,black tea,tea,Chinese tea,healthy tea,Chinese medicine tea,granules and so on. 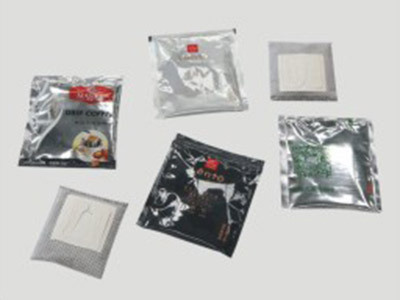 2.Coffee bag inside and outside the bag machine packaging capacity of 2100-3000 bags /hour. 3 outside the box to play U-shaped easy to tear,nice,easy to use. 4.Automatic quantitative way can easily adjust the number of grams.Measurement more accurate,large adjustment range. 5.Pneumatic original with Japan SMC,electrical original with Schneider. 6.Using Siemens PLC controller.Touch screen operation,so that more stable performance,operation more simple,more humane. Shanghai Saifeng Packing Machinery Equipment Co.,Ltd.